Quality, Quality and Quality is the benchmark for our customers. 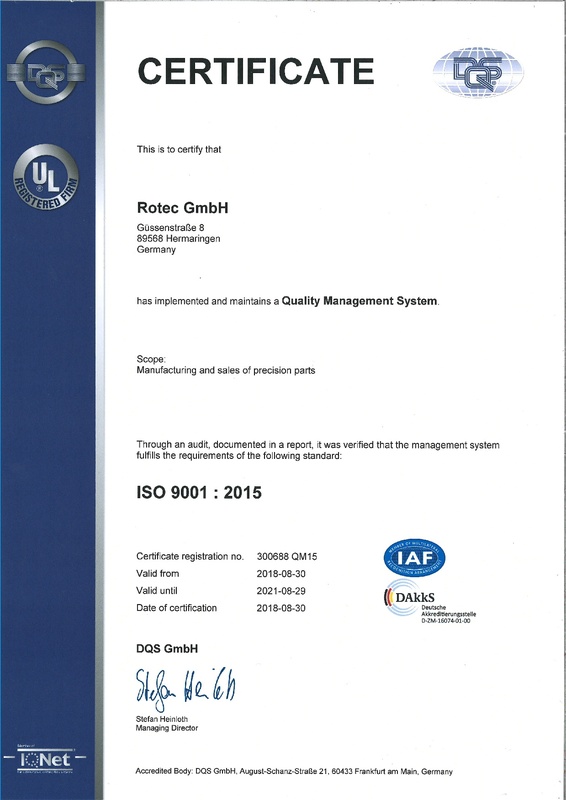 We serve our customers by providing quality management, zero defect strategy and process monitoring. 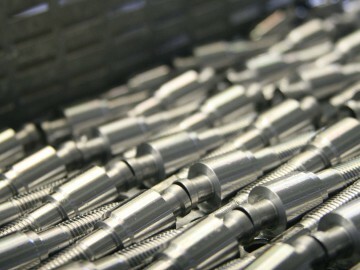 Premium-quality results can be achieved only with the best, tested materials and constant quality control. To live up to this claim, the most stringent quality standards apply to all processes. 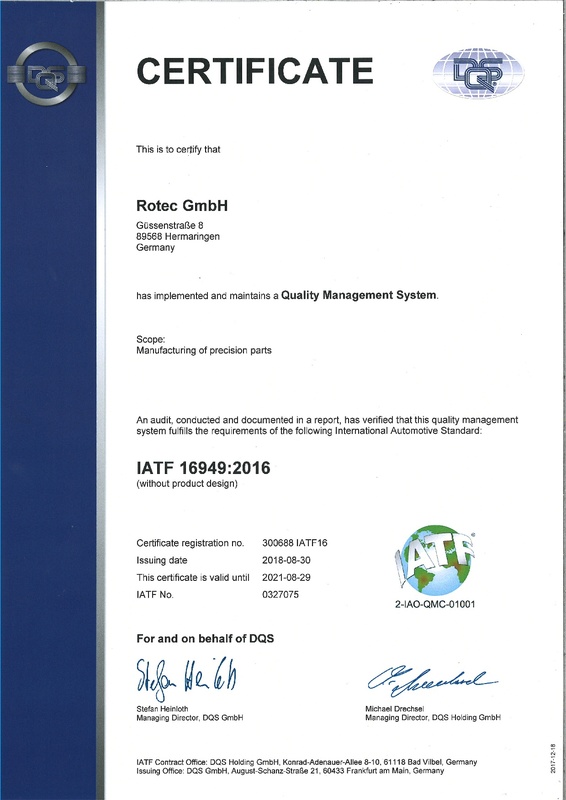 Rotec GmbH meets the quality management standards pursuant to ISO 9001:2015 sowie der IATF 16949:2016 - certified by DQS. 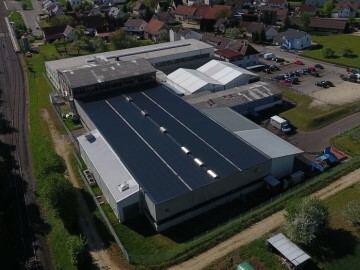 In practice, this means: a quality assurance department composed of seven members, maximum control of production planning as a result of permanently updated machine data (advanced quality planning, process FMEA, statistical process control, zero defect strategy, process monitoring). We prefer to test more than necessary rather than too little. Better safe than sorry!